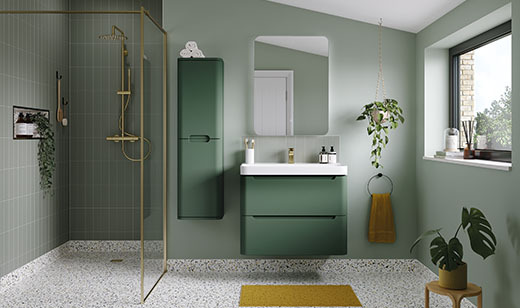 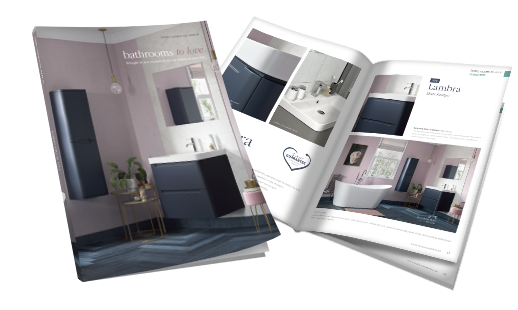 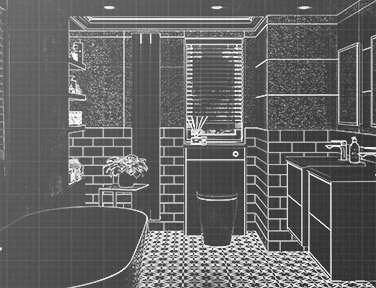 Serena 2 drawer vanity unit 900mm with basin, Finissimo basin mixer, Savoy freestanding bath, Primo floor standing bath/shower mixer, RefleXion 8 wetroom panel, Cosmos shower tower, ultraslim tray and Carino mirror. 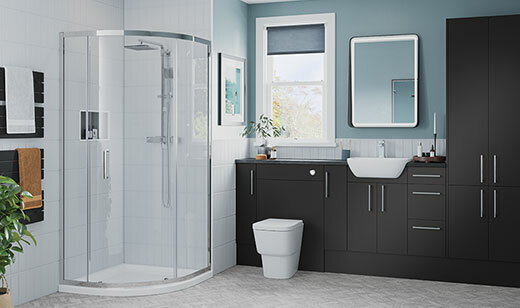 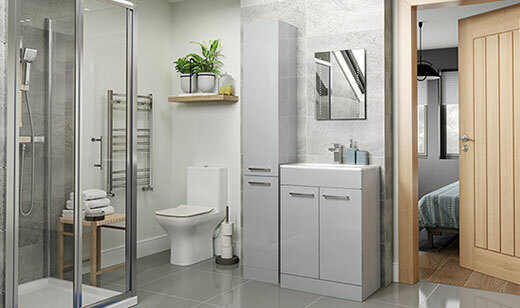 Serena 2 drawer vanity unit 600mm with basin, Amyris close coupled WC, Finissimo basin mixer, RefleXion 8 wetroom panel with rotate splash panel and Aurora shower tower. 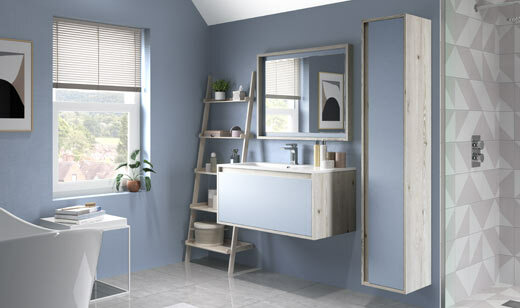 Serena 2 door vanity unit 500mm with basin, Serena WC unit, Cilantro back to wall WC, Finissimo cloakroom basin mixer and Calypso mirror. 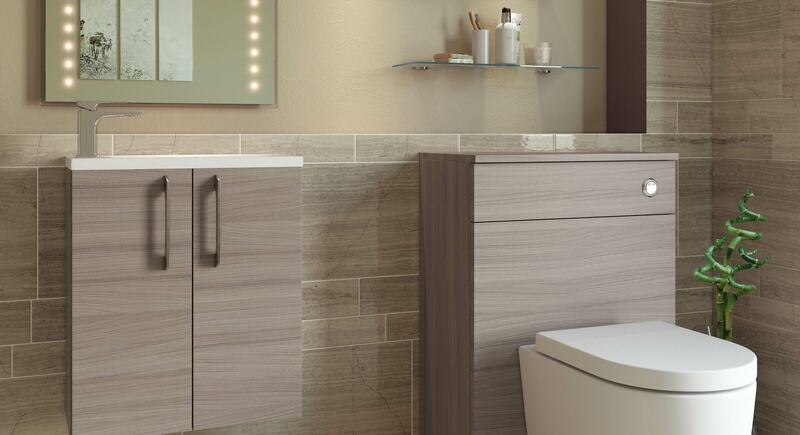 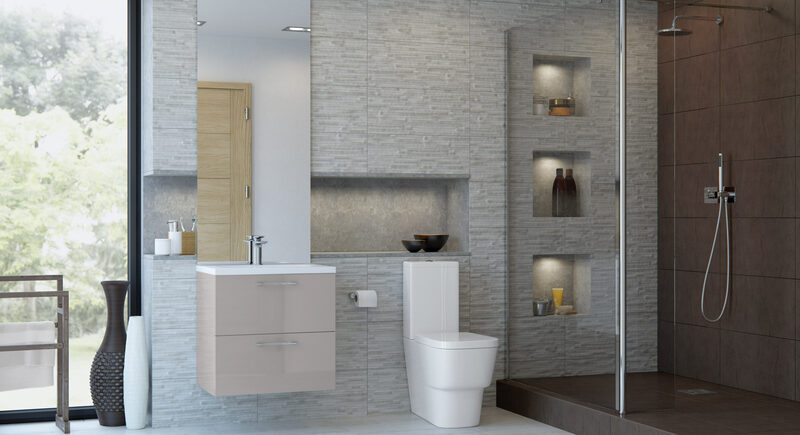 The clean lines and calming colour tones of the Serena range exude an ambience of relaxation. 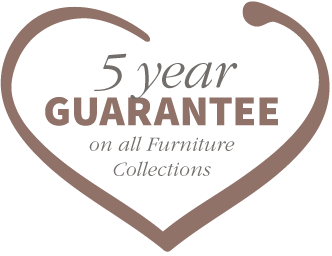 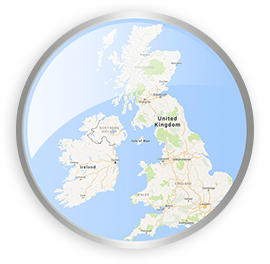 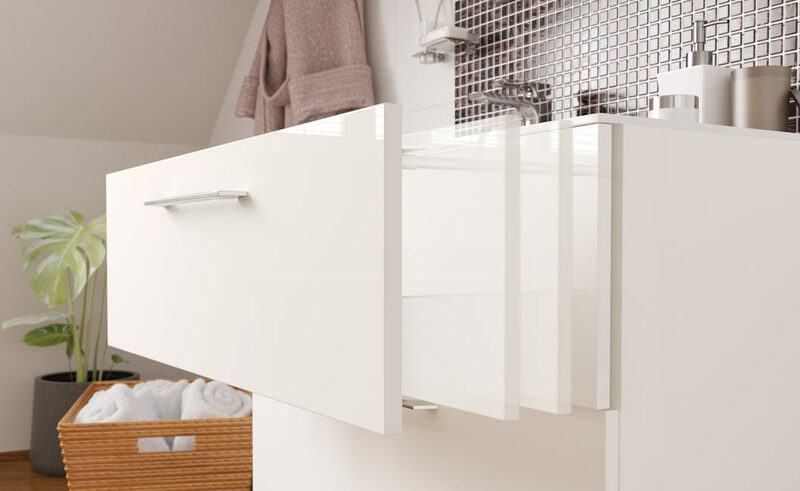 This versatile collection includes modern chrome handles which can be mounted both horizontally and vertically adding a stylish edge to this contemporary design. 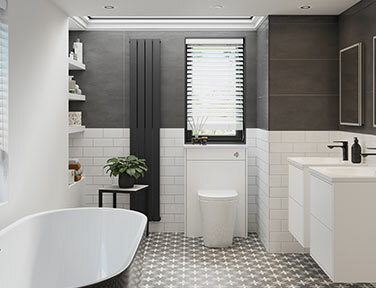 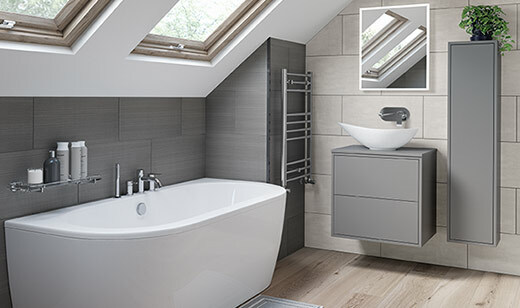 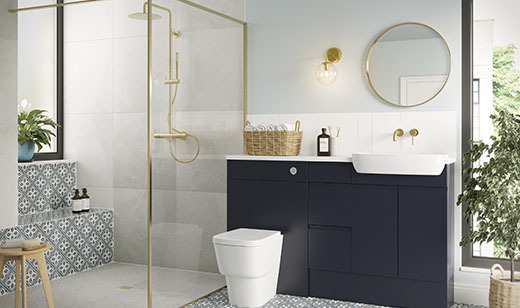 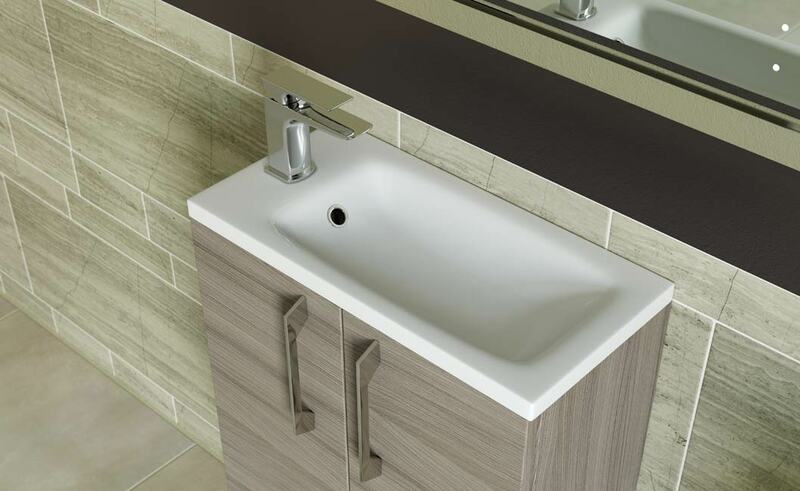 Finished with beautiful, slim and durable polymarble basins, the Serena is a stylish and clever storage solution - complete with German engineered metal fittings, with a quiet-close function. 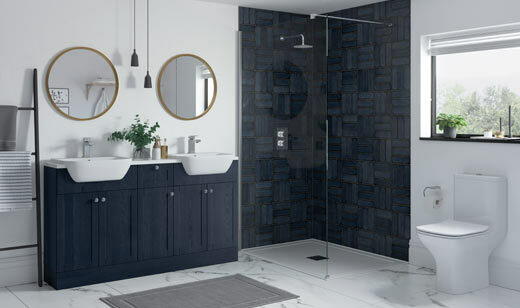 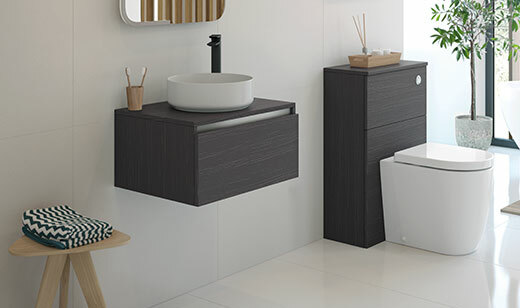 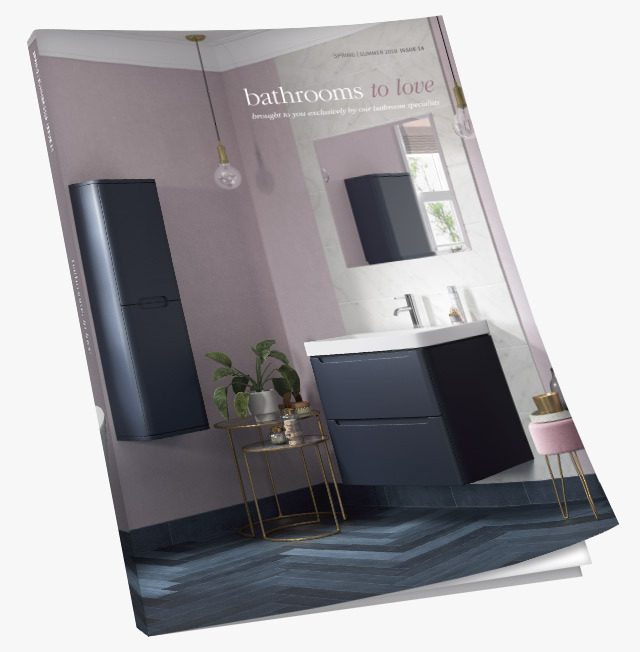 Stylish and practical, the Serena vanity unit (top) features a sit in basin, and all Serena units feature soft close doors & drawers with quiet closing function - perfect for night time visits.